Have you still not had your flu jab? For more information about our Seasonal Flu Vaccination campaign click here. A new online booking system so that patients' can book a date and time that is convenient to them to have their blood taken. This new service has been introduced to complement the existing walk in service already provided. For more information click here. Think Physiotherapy First Save GP's Time! 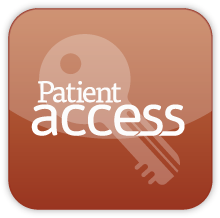 The secure way of booking appointments online and ordering your repeat prescriptions.